Pretty good match. It got a little frantic towards the later portions of the match, but not necessarily in a bad way. This was a pretty good matchup. Clips from the WWE Draft a week ago. Replay of a portion of the Balor versus Reigns match from RAW. Good match. 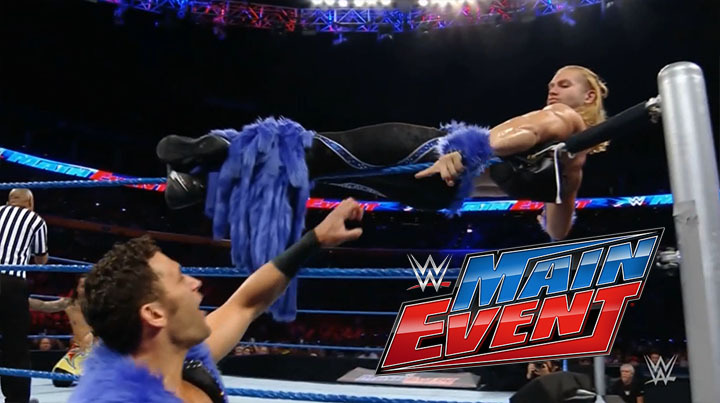 Tyler Breeze seems to keep getting better. This was a fun and competitive match. There were a few believable near falls and a callback to the match Breezango had against The Usos on the Battleground Kickoff show. Not a bad show. The main event is definitely worth watching, but the first match was fine too. I’m liking this feud already.